What are the time limits for making medical negligence claims? There are time limits involved in bringing a medical negligence claim. If you do not comply with these time limits the Court may not allow you to pursue your claim. So what are the time limits? In 1980 the Government passed legislation which imposed a 3 year time limit in which all claims for personal injury, which includes injuries suffered as a result of medical negligence, must be brought. In general, the 3 years begins from the date of the negligent treatment was provided. There are however, exceptions to this rule. If you have been unlucky enough to have received medical or dental treatment that you believe to be negligent you may wish to make a claim against the medical or dental professional who provided you with that treatment. In order to pursue your case, legal proceedings must be issued within 3 years of the date that you received the treatment. This means that a Claim Form must be issued with the Court by the end of this 3 year period. However, there are circumstances where the 3 year time limit will not begin until a later date and I thought that it would be helpful to set out the basic facts about the exceptions to the general rule as this is a question I am frequently asked. 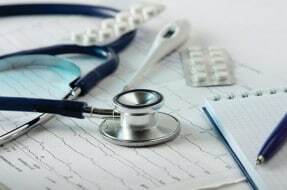 If you received medical treatment from a medical professional and you did not become aware that the treatment you received was negligent until a later date, the 3 year time limit would not begin until the date that you actually became aware of the negligence, which is referred to as your “date of knowledge”. An example of this would be in cases of delayed diagnosis. The actual negligence occurs at the time the diagnosis was first missed. However you would likely not be aware that a diagnosis had been missed until the diagnosis is actually made and this can be several months or years later. This later date would be your date of knowledge and you would generally then have 3 years from that date to stat Court proceedings. Calculating limitation dates based on a date of knowledge can be complicated and need to be considered very carefully, so you should seek legal advice at the earliest opportunity. We represent families who want to bring a claim against a medical professional, who has provided negligent treatment to a loved one which has resulted in their death. In these circumstances, generally the 3 year time limit will only start on the date of your loved one’s death. Children can also receive negligent treatment. Children are unable to bring a claim themselves and require a Litigation Friend, who is usually a parent, to bring a claim on their behalf. In these circumstances the general 3 year rule does not apply. The 3 year time limit to issue proceedings on these claims will not begin until the child turns 18. This allows the child the opportunity to bring the claim themselves when they are an adult if someone has not brought a claim on their behalf before this. In some situations claims are brought on behalf of individuals who lack mental capacity to understand or pursue their own claim. In these situations the claim is usually brought by a family member who acts as Litigation Friend. The law recognises the difficulties that these situations can present and, in circumstances where the injured person lacked capacity from the day they were injured, the general 3 year time limit will not apply until the injured person gains capacity again. In some circumstances therefore, if the injured person never regains capacity, the 3 year time limit will not start at all and therefore proceedings can be issued at any time. In circumstances where the injured person loses capacity at some time after they suffered injury then the usual 3 year time limit applies, so proceedings must be issued within 3 years from the date of negligence or date of knowledge. If legal proceedings are not issued at the Court in line with the time limits outlined above, the Court may not allow you to pursue it. The Court has discretion to allow the claim to be issued out of time but this can be complicated. It is therefore important to comply with the 3 year time limit as there is no guarantee that the Court will allow you to continue with your claim if you do not. The rules in relation to time limits can be complicated particularly in claims relating to medical treatment which may have occurred over several years, and requires careful consideration. The above represents the general position but the facts of each potential case need to be considered so the correct date can be assessed as it is not always straightforward. It is important if you consider you have suffered injury that you seek legal advice as soon as possible to ensure your claim is brought within the correct time. This will also give the maximum time for your claim to be investigated and to see if settlement can be achieved without needing to issue Court proceedings at all. The Clinical Negligence Team have a dedicated team who are experienced in assessing potential medical negligence claims. They will ensure that you are well informed of any limitation issues and are available to answer any questions you may have. Please contact me or one of my colleagues and we will be pleased to advise you.